As summer slowly approaches, it seems an apt time to consider the legacy of Rudi Gernreich, the Viennese designer who created the legendary monokini. However, while Gernreich might be best known for his work baring the breasts of those who wore it, his enduring influence on the world of fashion is not limited to the sphere of swimwear. After emigrating to the United States as a Jewish refugee in 1938, his impact on a movement that celebrated emancipication from societal confines both sartorially and politically was immense, and his clothing has come to define an era of revolution and liberation. 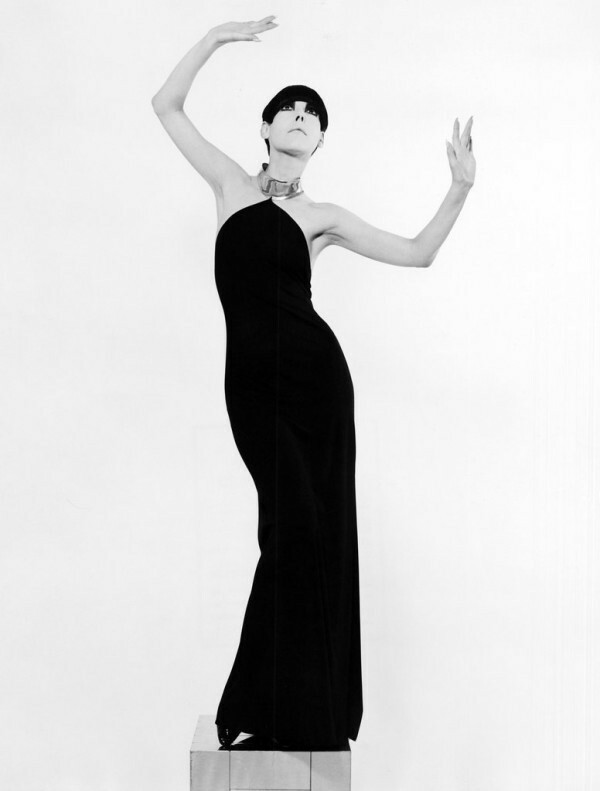 Here, we look at some of his defining characteristics, illustrated by phenomenal archive imagery of his model and muse Peggy Moffitt. After escaping Nazi Germany with his mother in 1938, Gernreich's first job in America was washing bodies in a morgue before they went for autopsies. Later, he told Marylou Luther, “I grew up overnight. I do smile sometimes when people tell me my clothes are so body-conscious I must have studied anatomy. You bet I studied anatomy.” His elasticated knits and relaxed tube dresses in wools and jerseys were simultaneously form-hugging and relaxed and, inspired by Bauhaus functionalism, eliminated what he considered to be extraneous additions and embellishments, instead favouring unusually printed fabrics and disharmonies of colour for decoration. Before embarking on a career in fashion, Gernreich was a dancer who studied under the tutelage of renowned choreaographer Lester Horton. The influence of Horton’s eponymous dance technique (which celebrated flexibility and freedom of expression alongside anti-fascism) can clearly be seen within Gernreich’s designs, which sought to liberate women’s bodies from the fashionable restrictions of boning and underpinning. When he developed the no-bra bra (made from soft nylon so that breasts could assume their natural shape and setting a trend for the 80s silhouette), it was in protest against the aesthetic ideal of breasts padded into uniformity rather than in an attempt at titillation. Taking American model Peggy Moffitt as his muse transformed her into an icon of sixties style; her heavy makeup and a Vidal Sassoon asymmetric haircut are now irrefutably legendary. Although the monokini was never intended to be produced commercially, with Gernreich explaining to Diana Vreeland that he intended it merely as a statement promoting "freedom-in fashion as well as every other facet of life," he created it upon her insistence and, when an image of Peggy wearing it was published in Women's Wear Daily in 1964, it made international headlines. While androgyny might be all the rage in 2015, back in 1970 it was Gernreich who promoted the concept of unisex clothing, developing what he explained to the Michigan News as "an anonymous sort of uniform of an indefinite revolutionary cast". In his 1970 Unisex Project, he shaved a a male and female model of all body hair and had them model identical outfits, from bikinis and minidresses to trousers and Y-fronts. As Jody Shields explained in Vogue, he was "a designer ahead of his time," and his consistent experimentation with the boundaries of gender often entrenched within fashion lead the way for generations to come.